Home Logistics	How Can We Reduce Empty Runs in Automotive Logistics? How Can We Reduce Empty Runs in Automotive Logistics? Last weekend, many government delegates, members of the media and other stakeholders came together in Bonn to discuss how to achieve a further 30% reduction of CO2 emissions by 2030. The question I asked myself was; how can people working in the automotive supply chain help with this? One area for improvement that lies ahead of us is the reduction of empty truck runs. Anyone working in automotive logistics knows that there is a major problem with empty runs. 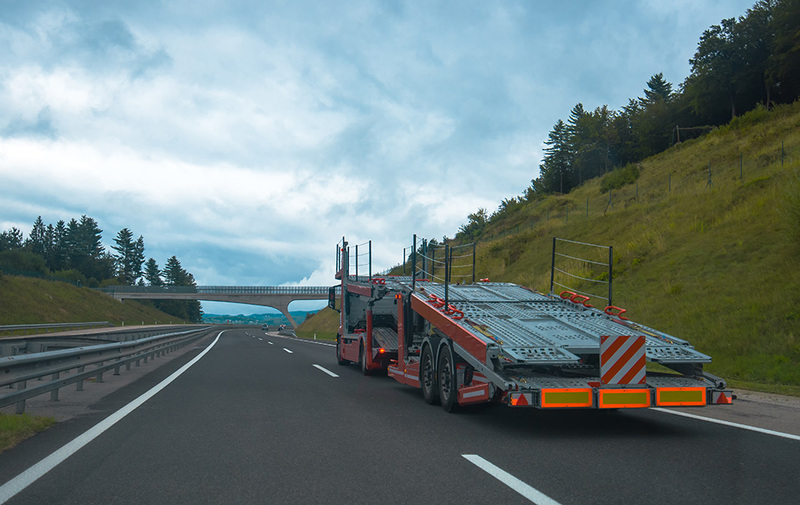 40 to 50 percent of car trailers and containers with automotive parts are not loaded, which means that in many countries, most car carriers go home empty. The challenge to overcome: Finished vehicle logistics are very specific because automobiles need to be loaded on dedicated trailers which are not meant for any other product. Are trailers that can carry cars and containers the solution? An example of an existing solution to avoid waste is CTM WW. The company produces convertible trailers that can carry both cars and containers. Bill Pawluk, the founder, started out as a freight forwarder with a fleet of 20 trucks with routes from Canada to the United States, and quickly realized that his trucks were not used efficiently enough on the way back. They would return without any freight. So he began to use the return journeys for transportation. After his time as a freight forwarder and when competition was increasing on the transport market, he developed the concept of the “convertible trailer” – a truck that can be converted in just a few minutes from a car hauler to a flat loader. The concept has proven its worth, as this trailer has not had a single empty run since it was first used. And for Pawluk, the solution has achieved its goal, because in his opinion, empty journeys are also one of the biggest wastes of time, profit and resources in vehicle logistics. And this can also be proven in figures: with this invention, his company was able to reduce its empty runs from 37 percent to 2 percent within a year. This reduction meant an additional turnover of $7,000 per truck per month. Typically, inbound parts can arrive by container from the port to the factory. Usually, vehicles will leave the factory and go to the port. So why not combine these two flows to reduce empty driving? The cars can be driven from the factory to the port, and containers from the port to the factory on the same trailer. These days, an interesting new innovation is to have foldable containers as well. This makes it possible to drive four times fully loaded with containers, four times fully loaded with cars and one time to fill the backload with four foldable containers. Instead of 16 full and empty runs, this can be done in 9 full runs, a 40% improvement! 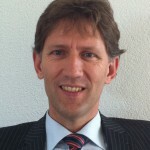 How can the industry make better use of big data in transport flows? The basis for optimizing routes and finding the best possible potential for optimization is data. Big data analysis is important to find out what routes will provide the best results. If all stakeholders in the industry work together, the data can be shared across the board. This would allow synergies to be identified and mutual support to be provided, to reduce the costs of driving empty-handed. The good thing in the automotive industry is that a lot of data is available using sales and production statistics. Flows can be compared with each other and synergies can be found. That data can be used to make big data inbound-outbound studies to show where the best potential lies for empty drive reductions. These studies allow stakeholders in the automotive industry to consider how big the potential for convertible trailers (and if necessary foldable containers) is. It will not only show all potential cost savings but also the potential benefits for the environment. Empty runs are a huge problem in automotive logistics. In many places in the world, it is a fact that most of the time, return trips are empty for both car transport and container transport. One reason for this is that up until now, the car trailers were not able to carry goods other than cars on the return trip. Another reason is that the car transporters are typically not involved in non-automotive flows. The convertible trailer and the big data approach can change this. As a result, there would be fewer trucks on the road and more profit for the car transporter. I am curious to see what the future holds and how much we can reduce empty runs in the automotive industry, while at the same time improving the environment! Do you have any other ideas on how we can address the problem, or do you want to be involved in solving this?